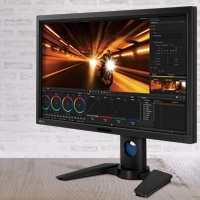 Featuring an brightness of 2800 ANSI lumens, a high contrast ratio of 10000:1 and a WXGA resolution, the cost-effective and eco-friendly MW516 offers a stunning full-screen presentation with the finest details regardless of the ambient light level. As the first DLP brand to incorporate Philips’ ImageCare technology into its projector lamp system, BenQ has taken a further leap, developing its own SmartEco Technology to perfect what DLP can do for energy saving in the 21st century classroom. Built with this brand new invention, the MW516 brings together uncompromised brightness, exquisite picture quality and optimized lamp life through innovative features. The Eco Blank Mode, which helps blank the screen and conserve lamp power by up to 70% when the projector is not actively in use. By blanking the projection screen, presenters get to redirect audiences’ focus back on them while keeping the Earth lookin’ great. When inactive, the MW516 keeps power consumption to a minimum with <0.5 standby power. This helps extend the projector lamp life as well as reduce energy costs. Display subtitles in video content without the need for an external closed-captioning device with the MW516. It's perfect for viewing in educational settings such as language classes where a transcript of onscreen dialog is desirable. The Instant Restart feature gives teachers a 90-second window period to turn the projector back on immediately when it has been switched off by accident – no waiting necessary. Cooling time itself has been reduced by over 60%, saving your time and minimizing the risk of heat damage to sensitive internal components. 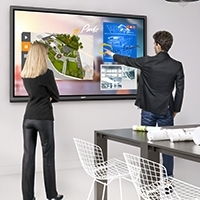 To make your teaching job easier, BenQ has added the teaching template function to the MW516. Now, with four different line pattern designs to choose from – Letter Formation, Musical Staff, Worksheet and Coordinate Chart, you can easily write or draw on whiteboards as well as blackboards without the need of drawing lines or charts. 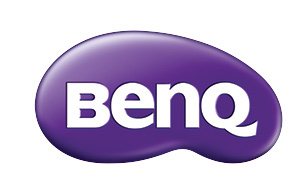 Subject to the terms and conditions set forth below, BenQ America Corp. (“BenQ”) warrants the BenQ Digital Projector (“Product”) you have purchased from BenQ authorized reseller in the United States on or after May 1, 2010 to be free from defects in materials or workmanship under normal consumer use during the warranty period in the continental United States, Hawaii, and Alaska. If the Product becomes defective during the warranty period BenQ will, at its option, repair or replace the Product. BenQ may use new or reconditioned components or parts to repair the Product, or replace the Product with a new or reconditioned Product of the same or functionally equivalent model. 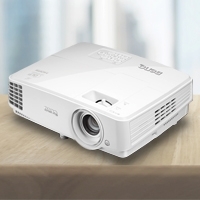 BenQ Projector Standard Limited Warranty: Subject to the exclusions set forth below: One (1) year from the purchase date by the original retail purchaser (the “Customer”) (except for lamps as specified below and refurbished units which have a separate warranty policy), parts and labor only (No advance replacement). Lamp Warranty: Lamp is guaranteed 1 year or 2000 hours from the purchase date by the Customer, whichever comes first. Return Merchandise Authorization Shipping: The Customer will pay shipping freight to BenQ or a BenQ Authorized Service Provider and BenQ will pay shipping freight to the Customer during the warranty period. DOA (Dead On Arrival): Must be reported within thirty (30) days of purchase. An RMA number must be issued in order to process the replacement. BenQ will replace the DOA unit with a brand new replacement. BenQ will cover the freight charges both ways. Shipping Damages: All shipping damages must be reported within seven (7) business days upon receipt of the Product. BenQ is not responsible for the shipping damages reported after such period. Repaired or Replaced Parts and Products: All repaired or replaced parts or products shall be warranted only for the remainder of the original warranty period specified above.